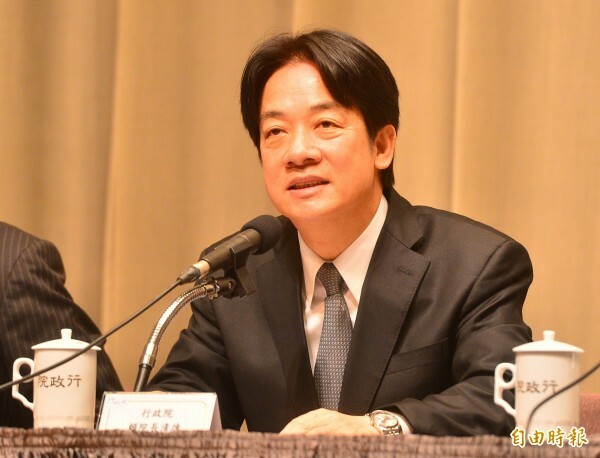 Premier Lai Ching-te on Monday said the Digital Nation and Innovative Economic Development Program (DIGI+) is a vital part of the Executive Yuan’s smart nation policy that also provides fertile soil for the “five plus two” innovative industries, boosts Taiwan’s competitiveness, and enhances the quality of life. The premier’s remarks came at the second committee meeting of the Executive Yuan’s DIGI+ Task Force, during which the Office of Science and Technology (OST) reported on the progress and future directions of the DIGI+ program. The OST said the program saw major accomplishments in 2017 thanks to support from Taiwan’s public and private sectors. New innovation laws including the Financial Technology Development and Innovative Experimentation Act and the Act for the Recruitment and Employment of Foreign Professionals were passed by the Legislature, enabling innovation in financial technology and closing the tech talent and skills deficit for industries. Free Wi-Fi services were also rolled out in public places including the high speed rail, the entire Taoyuan airport metro line including carriages and stations, the Taoyuan international airport, and many stations along the Taiwan railway system. A one-stop disaster information website has also been set up, giving the public access to the latest information on typhoons, school and business closings, road closures, and outages and restoration of water, electricity and telephone services, the OST said. The Executive Yuan continues to promote several other initiatives in 2018. First, the AI Taiwan Action Plan will train specialists in artificial intelligence (AI) while promoting the development of AI technologies. Tech giant Microsoft Corp. has committed to setting up an AI research hub in Taiwan, and Google has plans to make Taiwan its largest R&D base in Asia. Second, the government will promote an action plan for improving the fundraising environment for startups. Its objectives are to nurture at least one unicorn—a startup valued at more than US$1 billion—in the next two years, and increase investments in startups by NT$5 billion (US$171.6 million) a year for the next five years. The third initiative is a cybersecurity industry development action plan with the goal of establishing a world-class entrepreneurial base for Taiwan’s information security industry. The government aims to nurture 40 new cybersecurity companies by 2025 and double the industry’s output value to NT$78 billion (US$2.7 billion) in eight years.